I like the sound of that, don’t you? Well, Shoppers Drug Mart is releasing their holiday gift guides and beauty books over the month of November and December. This is PERFECT for holiday shopping and totally makes your work much easier. Everyone knows how busy it gets during the holidays but, with the help of Shoppers Drug Mart—you can check off tons of gifts off of your list. Best of all, they’re ALL in ONE PLACE! You can look out for the first beauty book and gift guide in stores now! You’ll find delicious fragrances, totally GORGE gifts, mouth-watering treats and the latest and hottest toys and electronics. I already have my eye on a few amazing goodies from Shoppers Drug Mart. Like this new and exclusive brush set from Quo. I’d want a few of these for my make-up coveting loved ones and one for myself—shhh! 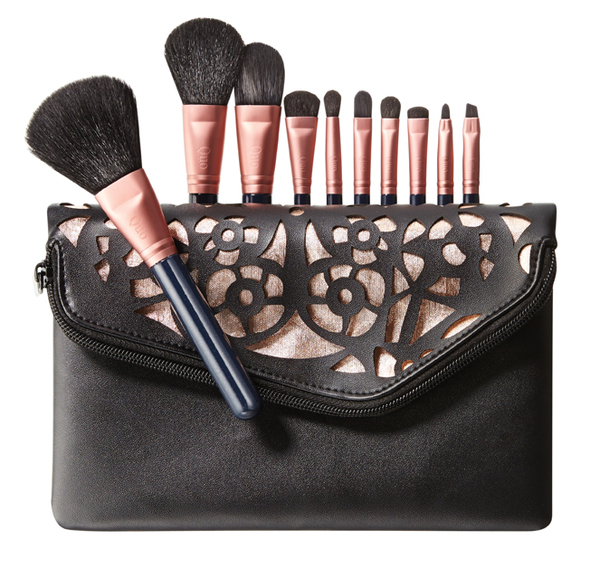 The brush set features an exclusive offering of 10 beautifully crafted Quo cosmetic brushes and a deluxe cosmetic bag. Did Someone Say Pearly Whites? This holiday season, fresh fallen snow doesn’t have to be the only thing that is pearly white! 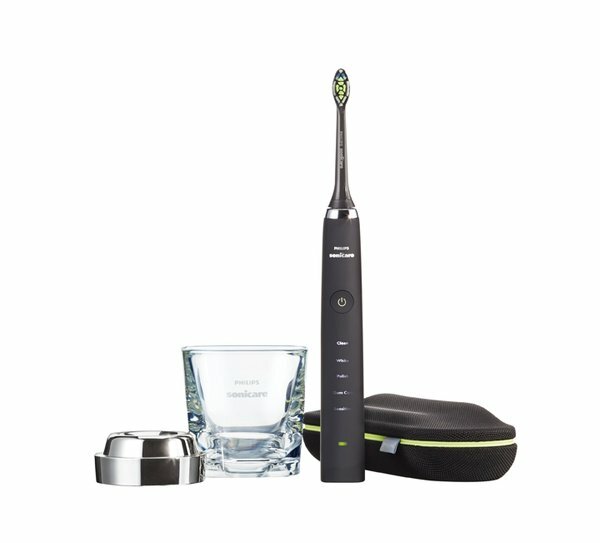 You can give the gift of clean with this amazing Sonicare Diamond Clean Power Toothbrush set by Philips. It includes a Charging Glass, Charging Travel Case, USB Cable and USB Wall Plug and comes in Black or White. I love how sleek it is and I am a fan of electric brushes because I use them myself and know they are awesome. Tell Them to Bat Them Eyes! 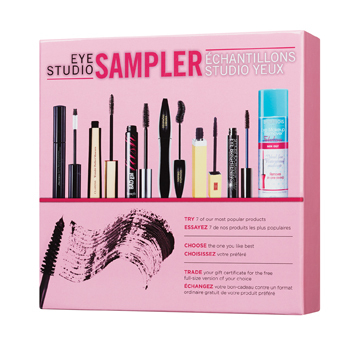 Well, because with this Eye Studio Sampler, they’ll have lots of batting to do. I know one person in my life (besides myself, I know, I’m loving all of these gift ideas) that will absolutely LOVE this gift. She is a mascara junkie and always loves to try new and different brands and wands. The set includes 6 Deluxe Mini Mascaras, Deluxe Eye Makeup Remover and a Certificate for the Complimentary Full-Size Product of your Choice. Don’t Forget the Music Lovers! 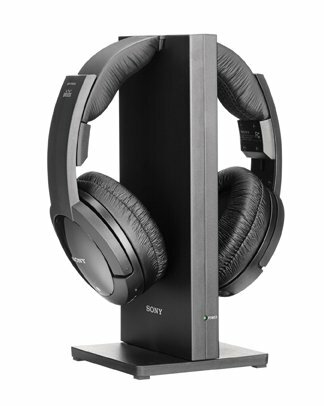 These Sony Wireless Headphones with Charging Base Station is the perfect gift for any music lover in your life. Actually, I own a pair and the sound is superb and pristine. You can trust a brand like Sony and it isn’t a surprise Shoppers Drug Mart has them. Those are just a few products that I absolutely fell in love with and would definitely “gift” to friends and family. If you don’t know this, at least in my area, Shoppers Drug Mart is the ONLY place that is open on Christmas Day. It’s been a lifesaver for me on many occasions. But, with gifts made easy and the holiday gift guides and beauty books, you don’t have to wait until last minute. Even if you do, Shoppers Drug Mart is always around the corner (or a very short drive), always open late and there’s always tons of parking! Not to mention, there’s exciting in-store sales and promotions now through to December. You even get to shop and purchase products that are new and EXCLUSIVE to Shoppers Drug Mart. So, in a way, you’re VIP. Remember, select beauty products will have a free gift with purchase. So, visit your nearest Shoppers Drug Mart while quantities last! Whether you’re an early action-taker when it comes to holiday shopping or if you’re a last-minute striker—check out Shoppers Drug Mart’s Gifts Made Easy gift ideas. 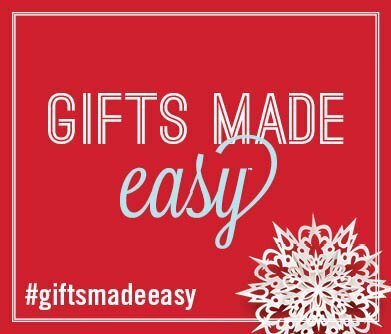 You can follow along using #GiftsMadeEasy on Twitter for more inspiration. Oh and Shoppers is launching a Facebook contest on December 2nd, that is kind of like the 12 Days of Christmas! It will be like an Advent Calendar that will reveal a new product every day and of course, there will be PRIZES throughout the 12 days! To find out more, like them on Facebook, here. What do you have your eye on this holiday season? I love the eye sampler and the make up brushes too! So many great ideas at Shoppers Drug Mart this year! I am a full on idiot with make up brushes. TEACH ME HOW TO USE THE RIGHT ONE AND WHEN! It's funny I never really thought about SDM as a place to really buy gifts, but after reading over the posts, it really IS!! Great post, love your gift choices! I REALLY want that eye studio sampler. I circled it in my Sephora catalogue for my husband to see. I try and make it as easy as possible for him. Great list. I hope someone is paying attention (santa?) because I want that toothbrush on my list!! Oooh I never thought I'd want a toothbrush for Christmas, but that one looks pretty awesome! I love the idea of the Eye Studio Sampler,that is a brilliant gift! I would love the Sonicare toothbrush. Wow it looks so amazing and stylish. Great choices of gifts at Shoppers! I need those brushes in my life like yesterday!! I love the bag with that makeup brush set! These are some great gift finds. how awesome is that toothbrush, talk about high tech!! I have cosmetic brush sets on my list to get for both of my teen nieces this year. I'll have to check out the one you featured. Looking forward to that facebook contest, yay! Love that brush set – looks so soft and wonderful to use! Those makeup brushes look so nice – even though I already have a full set, is it wrong that I want another one? These are some really nice choices! I have already picked up a number of gifts at SDM and will probably be getting a few more! I picked up one of those beauty samplers for my friend! She loved it!